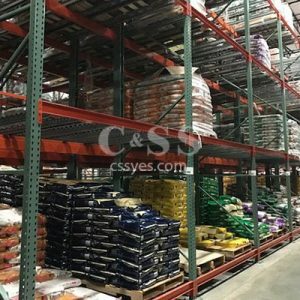 Rack supported mezzanines are the most economical way to create an additional floor level using standard pallet rack components. Additional materials will be needed for the decking, stairs, and fall protection. 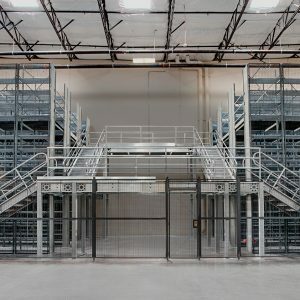 Conveyor & Storage Solutions has experience in designing, engineering, installing, and permitting industrial rack supported mezzanine systems that utilize the cubic area of warehouses and maximizes your storage space. 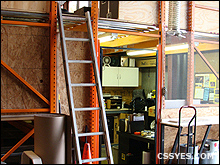 Standard rack supported mezzanine span up to 12 feet, but can be custom designed for larger clearances. The depth can be any size that fits into your warehouse. 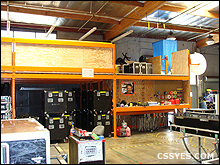 Custom Designed Rack Supported Mezzanine. 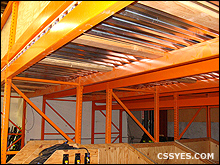 Rack supported mezzanines are custom designed and engineered for many different types of applications. 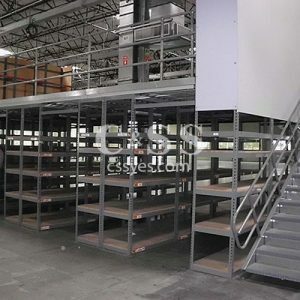 Steel rack mezzanine systems are designed to meet all local building code requirements and adhere to UBC, BOCA, IBC, and OSHA guidelines, as well as agencies such as ANSI, AISC, ASCE, SBC. 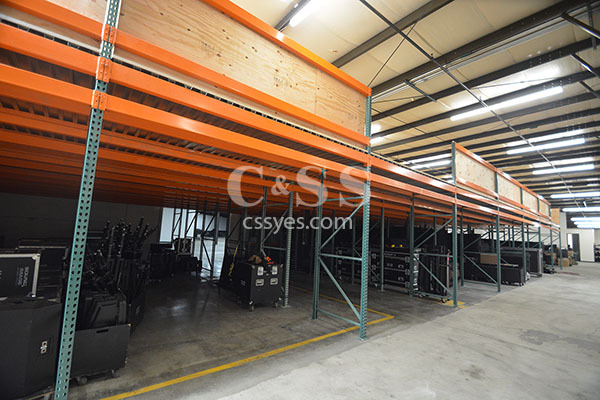 Follow this link to see a photo of a rack supported mezzanine used for warehouse storage. ForkLift Loading Zone for second level. 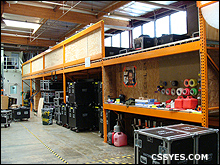 A mezzanine loading zone is a specific area designated for accessing materials between the warehouse floor and the mezzanine floor. In most cases, a fall protection system is installed. We design and fabricate a ‘rolly safety gate’ for pallet loading zones, which helps prevent injury. 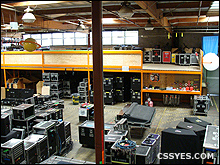 Lighting for Rack Supported Mezzanines. Additional lighting and sprinklers may be required under the mezzanine floor. These will depend on the storage application, type of storage commodity, existing fire suppression system, and local building codes. All stairs and handrails are designed to meet the code requirements of your area. Standard stair widths are 36″ with skid-resistant diamond plate treads. Stairs with closed risers, wider or smooth treads, unusual angles and runs, are available. Custom stairs can be installed to tie into existing systems. Rack Supported Mezzanine Gates and Rails. A variety of special applications many require gates, rails, landings, and vertical reciprocating conveyors. Some mezzanine deck surfaces include bar grating, high density wood, sturdier floor on B-Deck, diamond plate or metal decking, moisture resistant, concrete, and heat treated decks. 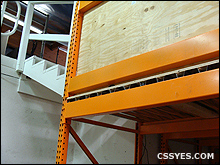 Some of these decking features make mezzanine flooring capable of withstanding heavy duty pallet jack and cart loads. 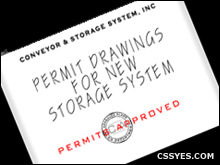 We can prepare permit drawings, engineering calculations, submit the package to the building department, and assist with obtaining building permits for your rack supported mezzanine.